Moving is complicated when you have a garden. Just how much dirt should be transported from one abode to another can lead to a spirited debate in our house. My attitude is to keep the labor to a minimum, and harvest, harvest, harvest. Suffice to say, we have been eating a good deal of carrots lately. And there is a threshold where one crosses from eating just enough to too many fresh carrots. So, I made a soup with the extras. A lot of soup. Heat oil in a large pot over medium heat. Add onion and sauté until translucent, 3 minutes. Add carrots, ground coriander, cumin and cayenne. Cook, stirring, 1 minute. Add stock. Bring to a boil, reduce heat and simmer, partially covered, until carrots are very soft, about 45 minutes. Carefully transfer soup to bowl of food processor or blender. Add cilantro sprigs. Purée until smooth. Return soup to pot. Stir in brown sugar, salt and pepper. Gently rewarm over medium heat. Serve soup warm garnished with fresh cilantro sprigs. Love carrot soup, and the Spiced Carrot Croquettes with Yogurt Sriracha look amazing. 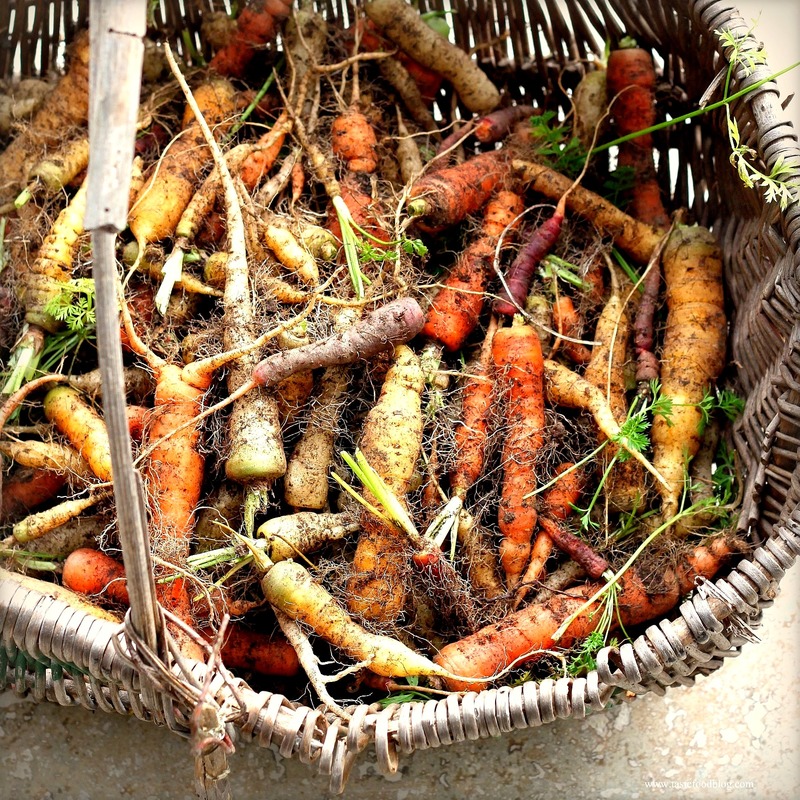 And love the photo of the carrots in the basket. Beautiful! Beautiful photos. And a great recipe too. A tasty soup! I love carrots, especially baby carrots. 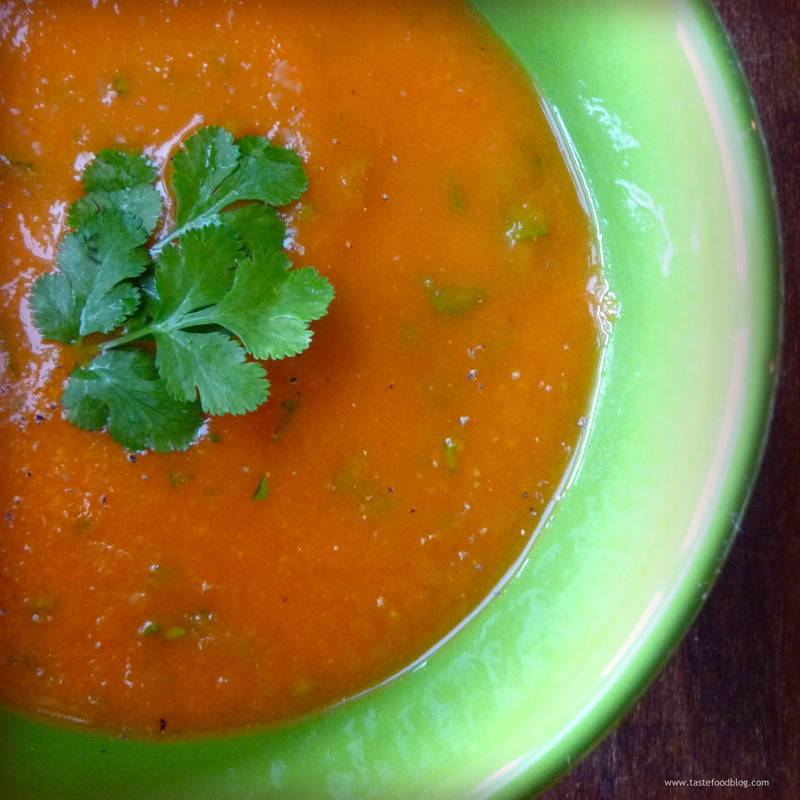 A beautiful sounding soup, and all those too-many carrots in the basket…beautifuller still! What a great image! 🙂 still, I think I must try your soup! Gorgeous photos! (as usual) We planted carrots for the first time this year in our little raised bed and the tops are getting bigger by the day…this post makes me excited for harvest time. Carrots and coriander–a winning combination.